​Dog Bites: Who Is Getting Bitten and Why? Education, Training and WelfareTaking all the above into account, PPG believes that increasing public safety and continuing to reduce the number of bites is of the utmost importance and that, while canine behavior is complex, many dog bite incidents could be prevented if pet guardians, trainers and legislators were better informed about canine communication and how to act safely around dogs. Canine signs of stress and anxiety can sometimes be subtle, but a greater knowledge of how dogs communicate and how our interactions with them can lead to a greater risk of bites is key to tackling bite prevention. In Section Two of PPG’s Guiding Principles it is stated that: “We always hold the pet’s welfare as our top priority.” (PPG, 2016.). It is PPG’s position that breed specific laws adversely affect a pet’s welfare and are, without doubt, often detrimental to a pet’s psychological and physical well-being. 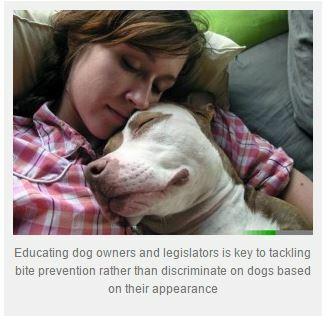 PPG holds that the subject of dog bite prevention and safety should be tackled through breed neutral laws, education, stricter enforcement of animal cruelty legislation and a greater accountability of all pet owners, trainers and legislators for the animal’s welfare. Countless animal welfare organizations and professional bodies worldwide have issued position statements that comprehensively refute the efficacy of BSL as a means of reducing dog bites and increasing public safety, including the American Veterinary Medical Association, American Veterinary Society of Animal Behavior, British Veterinary Association, Best Friends Animal Society, Centers for Disease Control and Prevention, Humane Society of the United States, Royal Society for the Prevention of Cruelty to Animals Australia and Royal Society for the Prevention of Cruelty to Animals UK. All support an end to breed specific laws in favor of breed neutral legislation (laws aimed at ensuring all owners are responsible for the care and control of their dogs, regardless of breed) as do countless renowned specialists in canine behavior, training and communication. 10 Easy things for a happy dog! We always want to make sure our dogs are as happy and healthy as they could be, but we sometimes get stuck thinking we’re doing everything we can do. Aggression and some reasons behind it. Some ideas of what to do if chased by a dog as if dog is provoked it could make things worse.